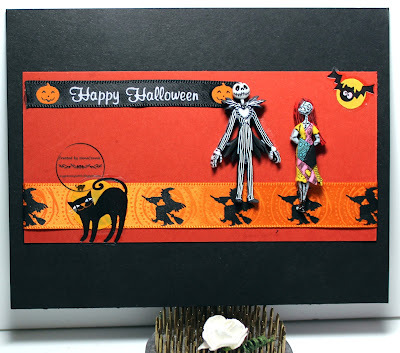 Fabulous Halloween card my friend, love the ribbon and images. Well! clever you, love the buttons and how you have designed around them, - FABULOUS card. Fabulous Halloween card. Love the scarecrow. Hello Thanks for sharing your card with us at Crafty Friends Challenge Blog… your card is lovely and fits perfectly with our ‘Ribbons and/or Lace’ theme… good luck in the draw and please join us again. Thank you soo much for taking part in our "use ribbon and/or lace” challenge over at Crafty Friends & good luck in the draw.